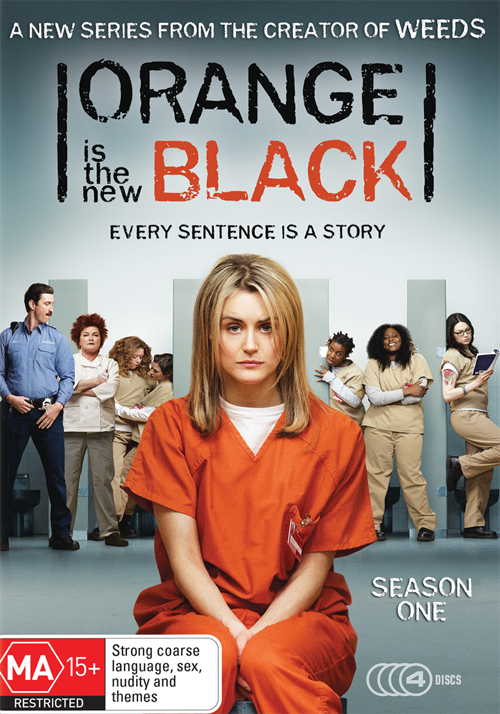 Buy, Rent or Skip Orange is the new Black (Season 1)? I was very much looking forward to Orange is the new Black because all I've heard about the show is how awesome it is. This came out of nowhere and was the 'It' show to watch. Naturally when you hear nothing but good things on TV, Magazines and Online, it's got a lot to live up to. Maybe my expectations were to high and unrealistic or maybe because I'm a huge fan of the Prison Genre, but Orange is the new Black, although good, does not meet my expectations of an 'It' show. The first half of the season was extremely slow in its setup. I found myself watching maybe 15 minutes at a time per episode and looking for something else to do around the house. This doesn't happen with me at all, especially TV shows given how you can burn through an episode and then do something else if need be. So, this wasn't a good sign. But to be fair to the show, even if they didn't have this epic beat-down at the end, the characters were interesting enough and the series had picked up nicely that I was already committed to and looking forward to Season 2 when it's made available on DVD. Definitely worth a Rent. Just don't be looking at this a female version of Oz. It's not. Hell, they even make a joke about this prison not being anything like that show early on. I could not get into this show for the life of me. I'm already kind of... I have a hard time watching prison stuff, it has to be stylized in some way (an old prison like Shawshank, or a space prison, or whatever). Like you said, this was too sanitized. It actually reminded me more of college than Community! Even that first scene where she's in the shower, I thought "...that's the exact shower floor I had!" When Piper goes to make a phone call, it felt like she was at a teacher's office! And the fact that we keep cutting to the outside world or seeing flashbacks keeps the prison from feeling appropriately isolated and confining, you know? I absolutely get why you couldn't get into it. As I said before, it failed to grab me in a way that made me want to check out the next episode and that's why I kept drifting to other things to do around the house. I think with the growing pains out of the way, Season 2 should be good right from the start.